Who Is a Citizen Leader? Citizen Leaders are the men, women, young adults and teens who take stock of the kind of world they want to help shape for the people they care about and act to make it so. The Citizen Leader is a thought-provoking seminar to help you develop and deepen your moral compass — that is, explore and respond to the questions: Who am I? and How do I want to be in the world? The seminar challenges you to be authentic and courageous so you can say with conviction: I am a person I’d want to follow. Then, by giving you practical guidance to speak up, serve, act and lead efforts to better your world, The Citizen Leader helps you grow both as a citizen and as a leader so you can create great places for us all to live, work and play. 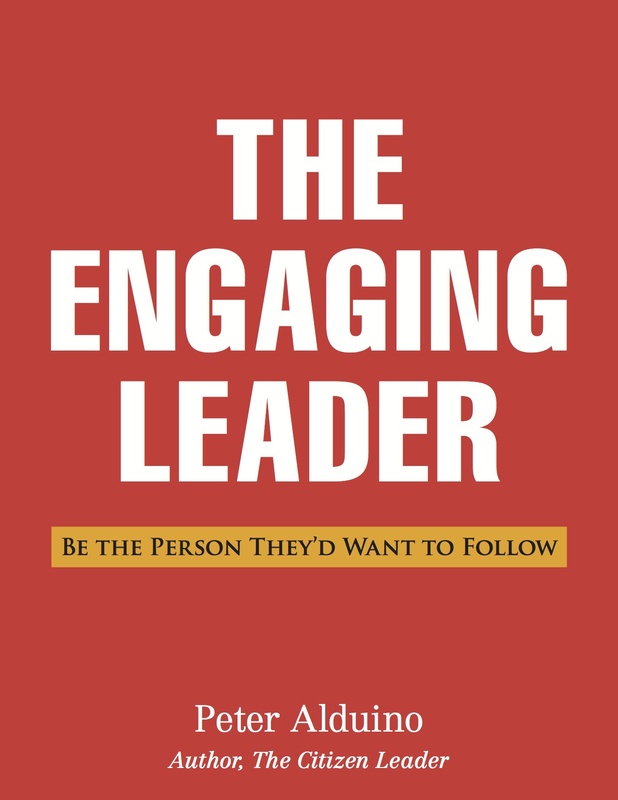 The Engaging Leader: Be the Person They’d Want to Follow is a series of tutorials that helps you deepen your understanding and practice of five essential roles of a leader, and be the person others would want to follow. Each tutorial offers a unique framework and practical tools for application to the specific leadership role that you are exploring. 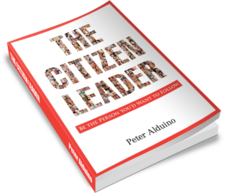 Invite Peter Alduino to speak to your group or facilitate a seminar based the themes and the challenges in The Citizen Leader and The Engaging Leader. Read more about citizen leadership on The Citizen Leader blog. Read the stories and profiles of contemporary citizen leaders. Rarely has a book come along that is so easy to endorse. The Citizen Leader would be wonderful required reading for every college and high school student in America and why not their parents as well. This thoughtful reflection and action-oriented guide on authenticity, character, and responsibility will stand up to the test of time because it speaks to timeless and fundamental human needs that dwell deep inside each one of us. 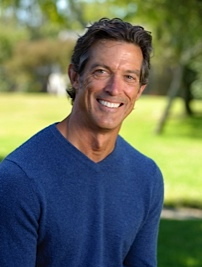 Peter Alduino has one of the deepest hearts and finest minds of anyone I’ve ever known. and The Citizen Leader is his opus. Do the work as Peter prescribes in these pages, and it will become your opus, too. This book is destined to become a leadership classic.